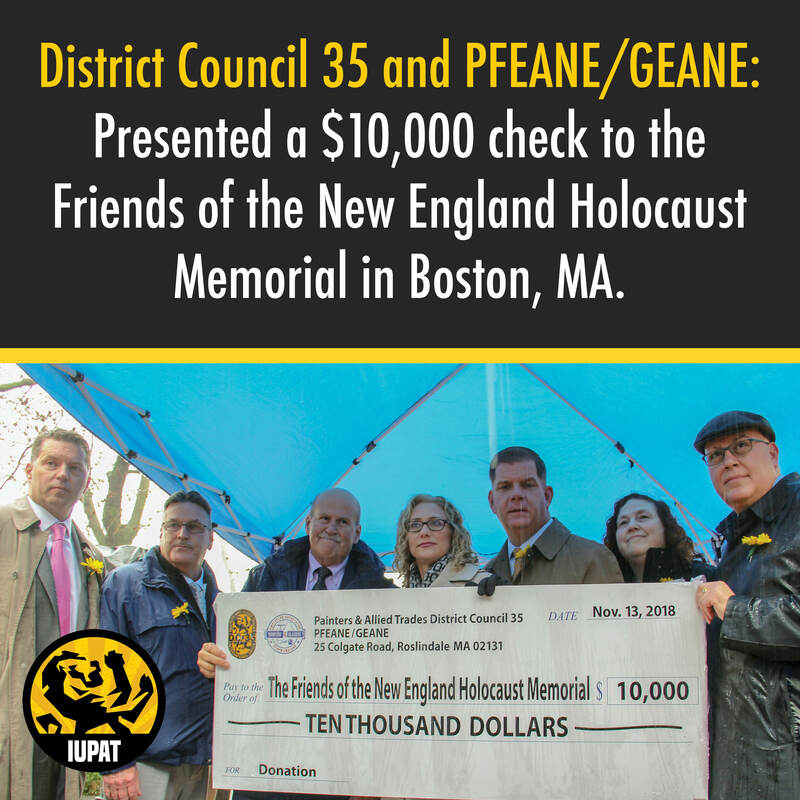 Members of District Council 35 and the Painter and Glazier Contractors’ Association of New England (PFEANE/GEANE) helped construct Boston’s Holocaust Memorial 23 years ago. Today, the monument stands as a national example of how to best remember the history of the Holocaust and honor the memory of the lives lost. Over the years, the IUPAT has donated countless hours to maintaining and repairing the memorial as a result of vandalism. 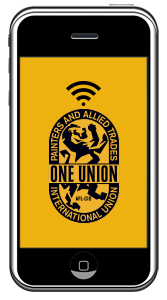 On November 13, members of the IUPAT, along with representatives from their union contractor employers, furthered their commitment to the memorial, and their stewardship of the memorial, in the form of a $10,000 donation to support its upkeep and material needs. “The Painters and Glaziers have been with the Jewish community and the memorial since the very beginning,” said DC 35 Director of Government Affairs Wayne Murphy. Also in attendance when the $10,000 check was presented to the Friends of the New England Holocaust Memorial were City of Boston Mayor Martin J. Walsh, leaders of the Jewish community, and other dignitaries.